We are coming up to ‘Bell Let’s Talk‘ on January 31st. This is a day to have an open dialogue on mental health issues in Canada. That’s a very good thing. Twitter is not always the best forum for discussions on important topics like mental health. I have already seen people ‘like’ tweets about the importance of reaching out if you are someone in distress. It is so easy to ‘like’. It is much harder to sit there and be present with someone who is really struggling. As someone who has suffered from mental illness in the past, I know people need more than a retweet. I am happy that this topic is reaching beyond the shadows and getting some publicity. I am seeing people like Chris Nihmey and Laurie Azzi who are doing really important work on social media getting out the message that people need to talk. This is essential and I think their work could actually save lives. What we need is more people entering this dialogue in a really meaningful way. I remember what it was like to be a struggling educator with serious mental health concerns. I did reach out to people when I was suffering from debilitating anxiety. In all cases, at work at least, my efforts to reach out were rebuffed. In one case that I have written about before, I told a superintendent that undue stress was a trigger for anxiety. Incredibly, my honest admission was ignored. Very fortunately for me when I reached out at home, I was understood and loved. That has made all the difference. I learned a lot from my own mental health struggles and I am better for what I went through. I do however struggle with those in places of authority who are still unable to be empathetic when it comes to the people who work for them. I have never called out the superintendent that was so insensitive to my own admissions and I won’t do it now. I only hope that they have learned something in the past few years. I hope they have learned a certain degree of empathy. I am adding a Twitter Moment to this post. 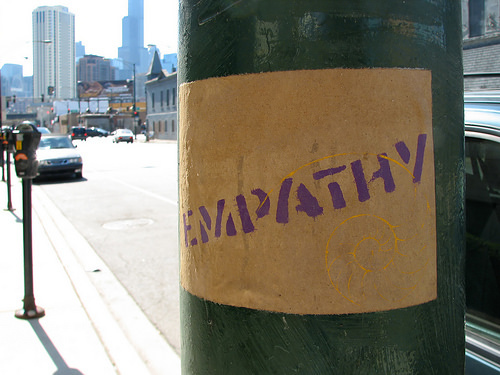 It is part of an incredible conversation on Twitter on the need for empathy amongst educators for educators. There are some pretty stark posts included here. I really hope that by writing these tweets, people have found some healing and understanding. Good that there is a day of awareness. We still have a lot of growing to do.